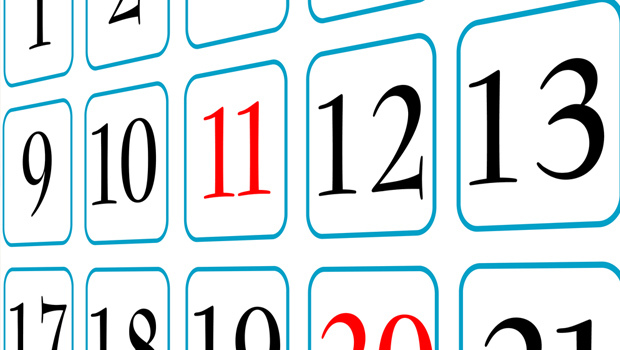 Links to three articles shared in this week’s NCCI social media. This week, it’s three videos, all related to the Americans with Disabilities Act, which was passed 28 years ago this Thursday, July 26. Video made thee years ago, on the origins of the ADA and the idea behind it. A humorous but accurate look at the biggest disability activism effort before the ADA: the 504 Protests. One of the key moments in the movement to pass the ADA. I love writing, the way you can use a few well placed words to describe the indescribable, how you can light up someone's imagination or move emotions with a few lines of ink on a page. But before that, my love lay with storytelling. Because for me, while storytelling came naturally, writing did not. It was third grade when I was diagnosed with a learning disability that affected the way I processed reading and writing compared to other kids. It was strange for me to learn at the time. I had always loved books, I still begged my mom to read to me every night and she would write out the elaborate tales I would dictate to her and staple them together into makeshift books. It had never occurred to me that I was behind my peers when it came to reading and writing, or that loving either meant being able to read by myself or get the words down on paper with my own hands. After I was moved into Special Education class for language arts, it became clear that others didn’t see my love for storytelling the same way I did. Other teachers would be angry that I couldn’t keep up with the group when writing journals, or for paraphrasing the notes in a group project to keep up with my partners. Kids who I had previously called friends teased me for having my mom still read to me, saying it made me a baby. It was almost like I wasn’t allowed to love reading and writing because of my learning disability. The strange part about it was that the assumptions that others had of the kids in the special education rarely fit with the reality of what I saw. Sure, the other kids and I had trouble reading by ourselves, we would misspell words often and get frustrated at times that what we wanted to write was slow to translate from mind to paper. But all of us loved reading and telling stories. We were excited whenever our teacher would read us the next chapter of The Phantom Tollbooth, or when we got to make our own fictional diaries in the style of the Dear America books. None of us hated language arts like everyone else thought we did, we just needed help to catch up with the rest of our grade. It was the encouragement of my Special Education teacher that started me on the path towards becoming a writer. But I would be lying if I said it wasn’t a frustrating path at times. While my love of writing and reading never wavered, through elementary, and even high school and college, I faced people who thought that me having a learning disability meant I could never be a writer, and that my passion was misplaced. In December I will be graduating with bachelors degree in Writing Arts and Literature. My learning disability does not determine my interests, skills, or talents, but it has taught me to view reading and writing differently than some. I still see people roll their eyes at those who stumble over pronunciations when they read out loud, those who don’t understand how someone who wants to be a writer still struggles to spell “simple” words. To me, there is never a need to put someone down who is trying to read or write because it isn’t “correct” or they way you do it. I do not write despite my disability. It is a part of how I write, and it will never stop me from loving what I do. Gemma Tendrich is currently a student and SUNY Plattsburgh where she studies Writing Arts and Literature. Originally from New Jersey, Gemma now calls Plattsburgh New York home. She has experience living with depression and anxiety as well as a learning disability and tries to incorporate aspects of these experiences into what she writes. This is part of a monthly series of guest blogs. Each month NCCI will choose up to 2 submitted blog posts from North Country writers on disability-related topics. This is a paid opportunity. Click here for more information. A very personal perspective on plastic straws and accessibility. Making the case that support workers who assist people with disabilities should be better paid and more highly regarded than they are in today’s economy. Disability-related questions you can ask candidates for Congress. Do you have a disability? Does someone in your family of voting age have a disability? Are you registered to vote? Are they registered to vote? The deadline to register in New York State for the November 6, 2018 Midterm Election is October 12, 2018. For more information or to register, call the North Country Center for Independence at 518-563-9058. 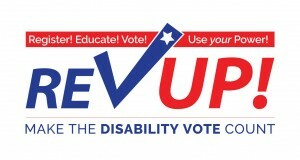 People with any kind of disability can register to vote, as long as they are U.S. citizens of voting age, 18 or older. Cognitive or mental disabilities do not disqualify someone from voting, unless an individual been ruled legally ineligible. Election officials and poll workers alone cannot determine a disabled person’s eligibility to vote. Disabled adults who are under legal guardianship may or may not be eligible to vote, depending on the terms of their guardianship. If you are not sure, you should find out. Guardianship terms can be changed if necessary to specifically allow an otherwise eligible person with disabilities who is under guardianship to vote. Polling places should be physically accessible, and have voting mechanisms that are accessible to blind, visually impaired, and physically impaired people. Some disabled people may, if they choose, request a mail-in absentee ballot, but that does not lessen the obligation for polling sites to be accessible. If transportation is an issue, and you want to vote, it’s best to make arrangements well ahead of election day. You may be asked to provide identification at your polling site. A driver’s license, passport, or non-driver ID will suffice. If you have any difficulty voting, or anyone tries to prevent you from voting, call your Board of Elections: Clinton Co. 518-565-4740, Essex Co. 518-873-3474, Franklin Co. 518-481-1663. About 16 million Americans with disabilities voted in 2016. 68.3% of voting age people with disabilities were registered to vote in 2016, compared to 70.6% of non-disabled people, a 2.3% registration gap. 82% of registered disabled voters actually voted, compared with 88% of non-disabled registered voters, a 6% gap in voting participation. Kruse and Schur found that while voting by disabled people increased from 2008 to 2012, the voting rate for people with disabilities actually went down in 2016. (Source: Lisa Schur and Douglas Kruse, Fact sheet: Disability and Voter Turnout in the 2016 Elections). A disability blogger writes in the Washington Post about why the movement to ban plastic straws is more than just a bad policy for disabled people, but kind of an outrage. Another disability blogger from Canada takes on a deceptively simple topic … people who are openly mean to disabled people in public … and explains how there is more to it than just rudeness. A disabled comedy reflects on what it means as a disabled person to have a “sense of humor” about your disability. Why do we make self-deprecating jokes? Are they social ice-breakers, or self-sabotage? Maybe a little of both. Two updated guides on national disability issues. They can be helpful for preparing for the upcoming Midterm Election. A personal story of parenting, disability, and acceptance.